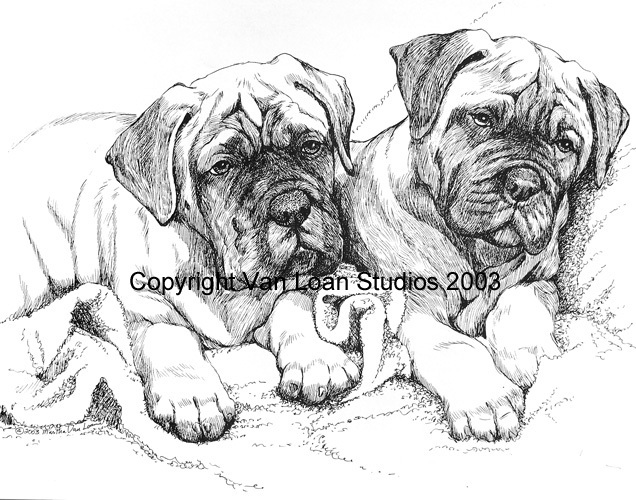 Home > Working Group > Bullmastiff "Puppies"
The Bullmastiff Puppies is a Limited Edition Print, signed and serially numbered by the artist. 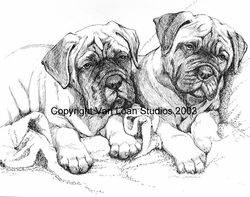 The Image size is 11"x14" which will fit into a standard 16"x20" mat and frame. Visit our Framing section for a framing package.